Orthotics are foot insoles (a type of arch support) which are worn inside everyday shoes and are able to be transferred from shoe to shoe. Orthotics enable the feet to be held in a more stable position during walking and standing which helps control poor foot function by allowing only certain movements to take place at specific times. Orthotics can either be custom made to an exact prescription or purchased over the counter in standard sizes and postings. Balancing your feet will enable you to walk more efficiently and your feet, ankles, knees, hips and back will be under less strain. Poor foot function often causes pain and deformity in the foot and ankle but it can also cause pain in the knees, hips and back. Poor foot function can also be associated with neck stiffness, muscle fatigue and cramp. Sporting activities, such as running or golf, place an even greater strain on poorly functioning feet. Wearing orthotics can often help improve foot function, decrease pain and slow deterioration. 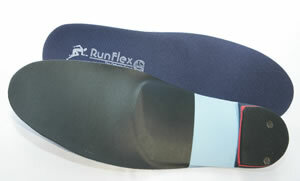 Custom made orthotics normally have a rigid plastic shell with a cushioning top cover. The shell usually lasts for years but the top cover might need periodic replacement. Custom made orthotics are normally very comfortable and do not feel hard in shoes. Do you have foot, ankle, knee, hip or back pain? Do you have corns or calluses? Do they relieve your symptoms? Do they fit in your shoes?